The month long Madhav Narayan festival ends today. 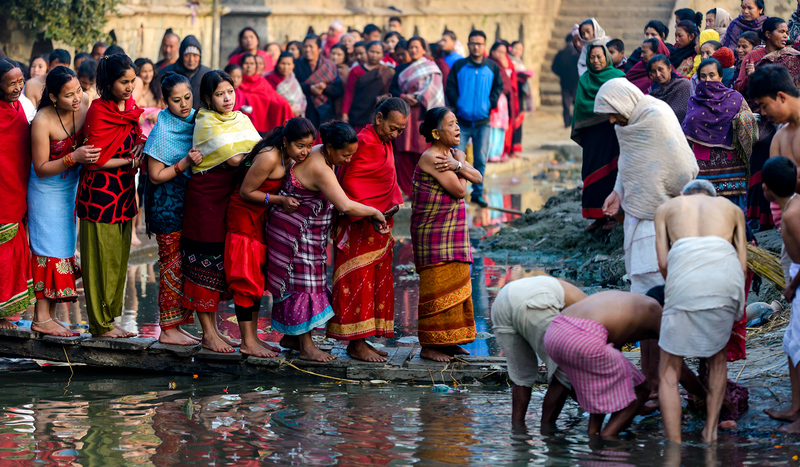 This is one of the most difficult rituals practiced by Hindus of Nepal. 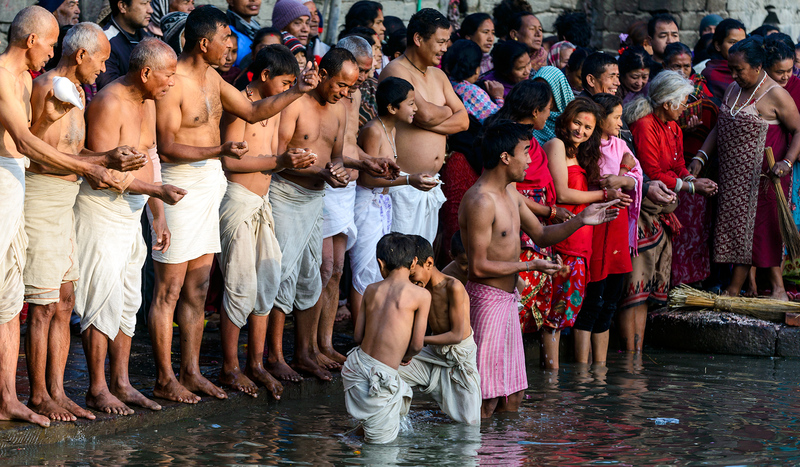 Devotees undertake a month-long fast, eat one meal in a day without any salt, walk barefoot in the chilly cold winter mornings, roll on the ground before taking a holy dip in the Hanumante River. Unmarried women take the fast to get a good husband and married women for their familie’s prosperity.